Welcome to the 431st Inspire Me Tuesday. Wow, you guys are really up on your game. Tons of DIY Projects, Room Makeovers and Tutorial for all kinds of projects. Check out a few of them. 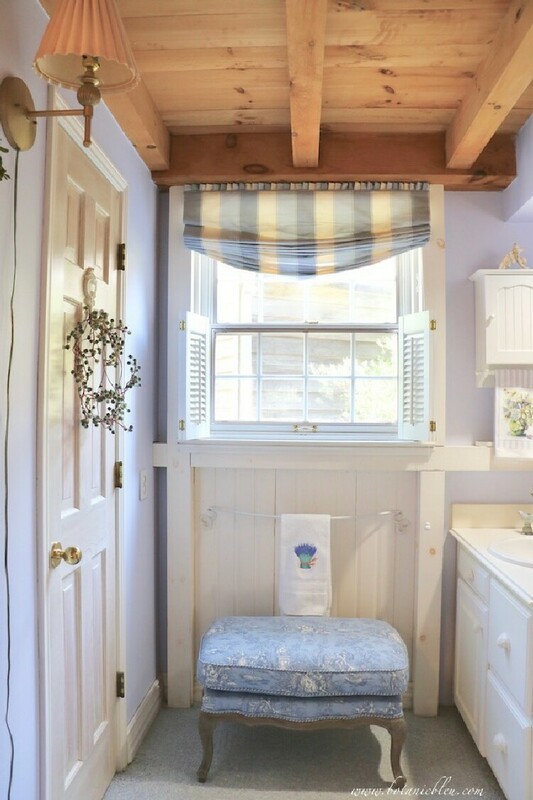 Window treatments can be daunting for sure. One of my favorite types of window treatments are roman shades and Botanic Bleu shared one of the prettiest ones I've seen lately. Be sure to check out here tutorial. This is stunning. Custom touches can take any kitchen to a whole new level. A built in plate rack is something I always think is a luxury upgrade. LesCultivateur shares a step by step tutorial so we can all have one. This just totally changes this cabinet. 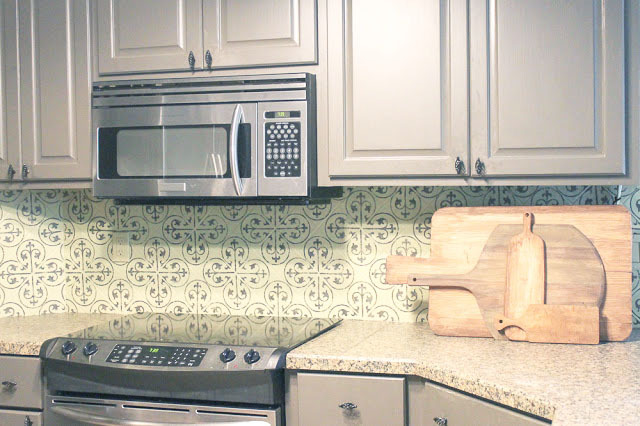 I see so many new kitchen using the latest cement tiles for their back-splash and floors. That can be spendy, but you can update your back-splash with this amazing DIY Tutorial on how to stencil them. Miss Kopy Kat shares a great step by step tutorial. 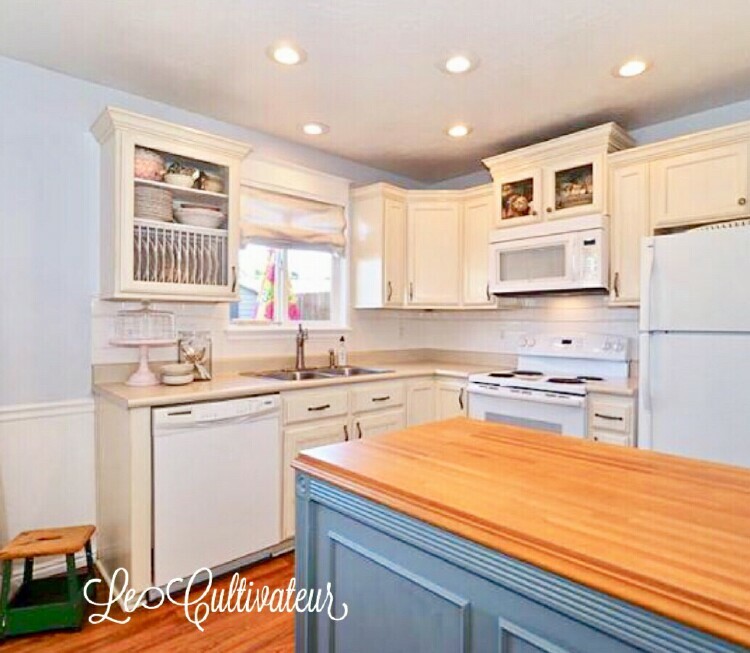 Sometimes when we do a mini kitchen makeover, we wind up with an odd ball space that needs cabinets and we need storage, so what to do. Well The Handyman's Daughter to the rescue. 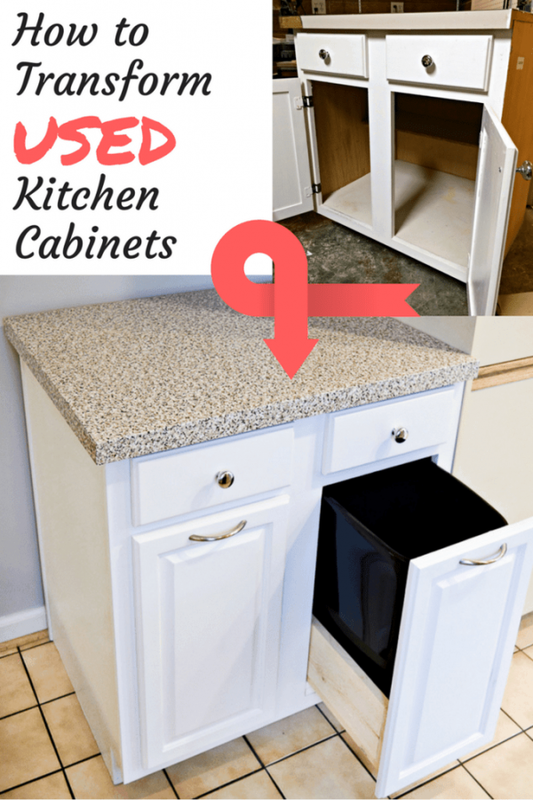 She gives us a great tutorial on how she transformed this used piece of cabinet into the perfect piece for her space. YES! The window shade is gorgeous. Love the stripes, because I think stripes are a neutral in a room. Thank you so much for featuring my plate rack tutorial!! I am thrilled to be featured here!!! Hope you have a wonderful week!!! Marty, it feels so good to be at the point of summer where I can relax into enjoying my garden and other hobbies, including reading and visiting creative blogs. Thank you for hosting this wonderful way to visit so many in one place. Enjoy your week. Thank you for featuring my new Roman shade. I am honored to be a feature on your linky party. I hope you are continuing to feel better every day. Thank you for hosting Inspire Me Tuesday every week. Love your features for the week! Hope you are staying cool. Thanks for the party! It seems forever not joining your party. I hope you read and browse my post to Inspire you to know, what I am up to. THing happens on the way to success and I am counting the blessing. Hope to join more in your memes. My fave meme ever.